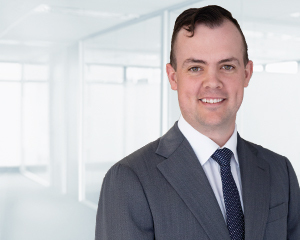 With considerable experience in investment portfolio construction and fixed interest investments, Alex Madge is responsible for cash management services for all Dixon Advisory clients and assisting investment advisers to apply the firm’s model portfolios to clients’ individual situations. Alex, who joined Dixon Advisory in 2006, says it is becoming more challenging for investors running conservative portfolios. “Cash is becoming increasingly important, and we strive for the best rates for all our clients,” he says. “Our cash management service is unique. We keep a close eye on where clients’ cash is sitting, and each week we move it into higher yielding accounts. Alex says Dixon Advisory clients benefit from the Investment Committee’s experience in all major market conditions and the committee’s considered, consensus approach to investing. “It’s important that clients are comfortable with their investments, and it’s our role to give them that level of comfort by educating them about the investments in their portfolio,” he says. As well as his passion for obtaining the best cash rates for clients, Alex is interested in international equities and resources as long-term investments. Alex has a Bachelor of Actuarial Studies, a Bachelor of Laws and a Graduate Diploma of Legal Practice from Australian National University. He has a Graduate Diploma of Applied Finance and a Graduate Certificate in Financial Planning from Finsia. Alex has been admitted as a lawyer to the ACT Supreme Court.